A board-certified adult health clinical nurse specialist, Peggy has over 30 years of professional experience in nursing. She earned her bachelor of science in nursing from Bradley University in Peoria, Illinois, and her master of science in nursing from Saint Francis Medical Center College of Nursing, also in Peoria. Peggy has practiced the study and treatment of venous disease since 2009. In the clinic setting, she has worked alongside nationally renowned venous specialist Ronald Bush, MD, FACS, and co-developed an educational website for physicians, nurses, and patients called Vein Experts. 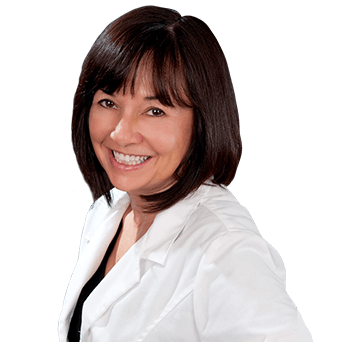 Peggy has co-authored papers on the care and treatment of venous pathology and is president of Dermaka skin care products. Peggy’s interests include mission work in Haiti, gardening, traveling, rescuing animals, and spending time with family.